It would have been better all round if the builder had asked us to go to site and open this vault door lock. Instead they cut it out and brought it to us for keys to be made, now they have the problem of getting a welder on site to weld it back into the door. 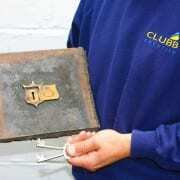 If you have any sort of lock problem it is ALWAYS worth getting a Locksmiths opinion first. 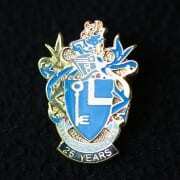 25 years qualified as a British Locksmith Institute full member. Awarded the badge and certificate at the recent MLA Southern Regional Meeting.